Over the weekend, Samuel L. Jackson teased his return as Nick Fury in the upcoming Marvel and Sony sequel Spider-Man: Far from Home. Now we get to see the S.H.I.E.L.D. agent back in action alongside Maria Hill, played by Cobie Smulders, in some set footage that leaked recently. 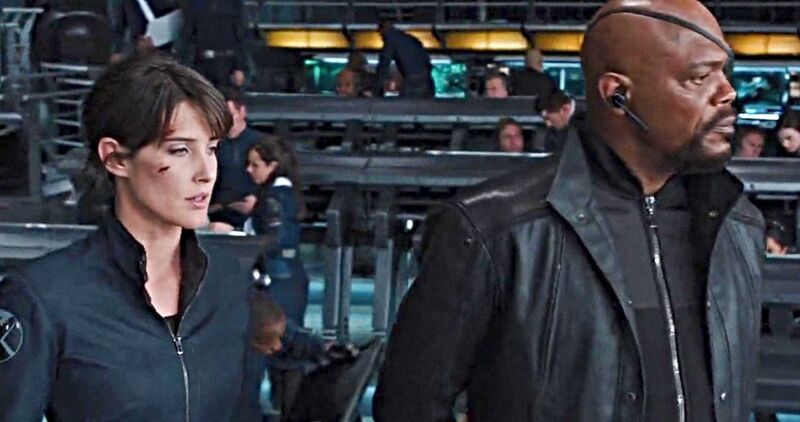 We don’t get to see much, but we do get to see Nick Fury and Maria Hill walk out of the shadows, emerging in tact. When we last saw the duo in Infinity War, the pair had been dusted by Thanos’ snap heard around the world. Somehow, they have survived, and now they are back to help Peter Parker with his latest mission. Though, no further character or story details have been released to keep all Avengers 4 secrets on lockdown. Samuel L. Jackson and Cobie Smulders only began shooting their roles in Spider-Man Far From Home this past weekend. Jackson shared a behind-the-scenes image of his iconic facial hair, teasing that he was ready to return to work. The actor has been enjoying a lengthy European Vacation with his wife, and it looks like he’s sticking around the area to complete his role in this next Marvel adventure. Many suspect that Spider-Man: Far From Home is taking inspiration from the animated series Ultimate Spider-Man, which often teams Nick Fury and Peter Parker for adventures. Spider-Man is now an official member of The Avengers, knighted by Tony Stark in Infinity War, so it makes sense that Fury and Hill would be keeping tabs on the kid, even as he enjoys a summer abroad with his science school classmates. Nick Fury has a big year lined up in 2018. He’ll first be seen as his much younger self in Captain Marvel, which will set up and explain the distress call we saw Samuel L. Jackson put in during the end credits of Infinity War. Much has been made about the fact that the man will have two functioning eyeballs when we see him return in March. Following that movie, he will then show up in Avengers 4, though there is no word how he and Hill are being resurrected from the dusting. Then finally, Samuel L. Jackson will make his final appearance as Nick Fury in Spider-Man: Far From Home next summer. You can take a look at the video, which arrived from the Marvel Studios Reddit earlier today. We also have some undercover photos that were snapped of the two actors as they get to work. This looks like a mission that only Fury and Hill can handle.